Technical University of Cluj-Napoca, Faculty of Civil Engineering, 15 C Daicoviciu Str., 400020, Cluj-Napoca, Romania. This paper presents an efficient numerical procedure for the rapid design of arbitrary-shaped composite steel-concrete cross-sections that are subjected to biaxial bending and axial force. The design procedure allows cross-sections to be designed by solving directly for the reinforcement required to provide a cross-section with adequate strength. 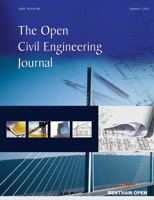 The new numerical procedure developed in this paper shows very good stability in the presence of strain softening effect exhibited by the concrete in compression and tension and convergence stability is not affected by the shape of stress-strain relation-ships of concrete, the type and amount of reinforcements or the residual stress distribution in encased steel elements. A computer program was developed, aimed at obtaining the ultimate strength capacity and reinforcement required by rein-forced and composite cross-sections subjected to combined biaxial bending and axial load. In order to illustrate the pro-posed method and its accuracy and efficiency, this program was used to study several representative examples, which have been studied previously by other researchers. The examples run and the comparisons made prove the effectiveness of the proposed numerical procedure.